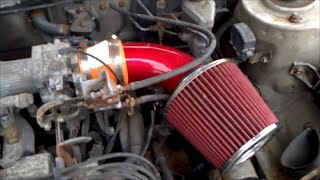 BEST air intake and induction PART DEALS MINIMUM EFFORT! 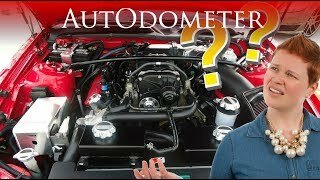 For anybody who wants to improve their vehicle's performance, then you need to be looking at air intake and induction parts. These are necessary for boosting vehicle performance and here we will explain more about them and the roles they play. Your vehicle's air intake & induction play important roles because the fuel needs to be mixed with oxygen so it can be combusted and help to propel the vehicle. The theory for boosting performance is a simple one; you simply add a richer mix of oxygen to the fuel to generate more power. This may mean sourcing a new air intake to enable this to happen. 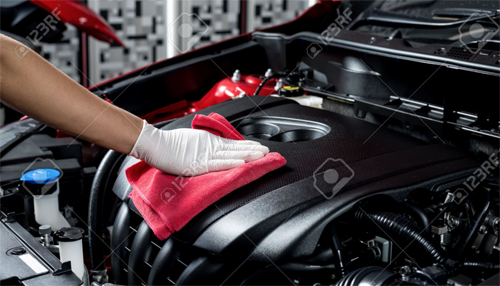 However, there are other parts that you will probably need, for example, performance airboxes where the air and fuel is mixed along with performance air filters which will need to deal with more air being drawn from outside the vehicle and the potential of more debris, insects and pollutants being pulled into the engine. 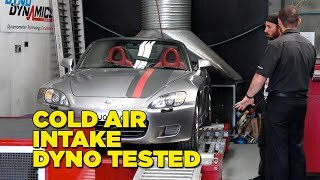 For more enthusiastic car modification fans researching air intake and induction products, then you may be considering nitrous oxide to boost performance when the vehicle is moving, though this is only temporary measure, along with new turbochargers and superchargers. While most drivers will be familiar with a turbocharger, since most modern cars have them, it's simply a way to deliver more air into the engine to create more power by compressing the air with a turbine. This turbine is powered by the engine's exhaust gases. A supercharger works along similar lines and compresses air to boost the pressure but is powered by the crankshaft and delivers more power at lower revs but it's less efficient. Both the supercharger and turbocharger are known as forced induction systems which just means they compress the air that will flow into the engine to produce power. It may also help to consider performance induction kits - some may know them as performance air intake systems - along with performance intake manifolds since more air will be needed a specialist manifold for this purpose will be necessary. As will a boost controller which will help control the air pressure being delivered to the supercharged or turbocharged engine. Because of the temperatures involved, your vehicle may need an intercooler capable of dealing with these and it will simply remove heat from the system. Some may also be looking for a dump bypass which will help provide a constant volume of air at a constant temperature and pressure, and to help with these higher pressures and temperatures you'll need to buy and fit quality hoses and ducts to ensure everything works without problem. If you are searching for air intake and induction products, then it's important that you source them from a reputable supplier and that they are of good quality to perform the function you need from them - and the MorePartz site can help. One of the most convenient ways to obtain replacement air intake and induction parts for your is to use your local or highstreet car part supplier. The advantage of using a shop is you get face to face support in purchasing the air intake and induction part you need. One of the most beneficial aspect of purchasing from a local store is often highstreet shops will take your air intake and induction part back if for some reason it doesnt fit, and if in stock instantly replacing with the correct part this can often be easier and quicker than repacking and posting, and then needing to wait for the replacement air intake and induction part to be sent out. Salvage and breakers yards are are an excellent source of replacement parts, not only for air intake and induction spares but for a whole number of different parts. Breakers yards and salvage yards purchase damaged cars and then they dismantle them and sell the parts on to the general public. If you want to make even more savings then purchasing your required part from a local could be the answer, shops, private sellers stores and all sorts of users post air intake and induction parts for sale using classified websites such as preloved, gumtree or even craigslist. 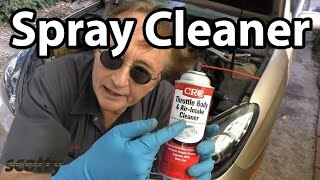 You will have to be a bit more savvy to purchase via this channel, there are no assurances that the part you purchase is fit for purpose and often if you purchase air intake and induction parts from the public you are not protected - mostly air intake and induction spares and parts are sold as seen, so you really need to test your air intake and induction or know about the part your purchasing in some detail. For the convenience of shopping for spares and accessories without leaving your home then the online store usually has everything you need to get your part air intake and induction part replaced. 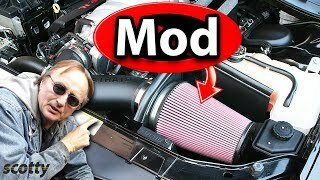 Its easy to find a large number of online stores to purchase your air intake and induction replacement parts and accessories, usually the offer fast delivery to your home and refunds or replacements if the air intake and induction part turns out to not be suitable as long as you have the original packaging. Some even offer next day delivery offering one of the most convenient ways to purchase air intake and induction car parts. Some websites offer the ability to enter your car details and the air intake and induction part required so they can source what you need by contacting a large network of suppliers to give you quotes on the air intake and induction part your looking for.